Fowler's new Inside Out album began at a soundcheck along the Rolling Stones Zip Code tour in 2015. Bernard started riffing on a Stones song as a dramatically delivered spoken word-and the band dug it. Fowler's Inside Out Is Captivating and Out of The Box! Immediately upon hearing the first notes of Inside Out, it's obvious that this is going to be a unique listen! 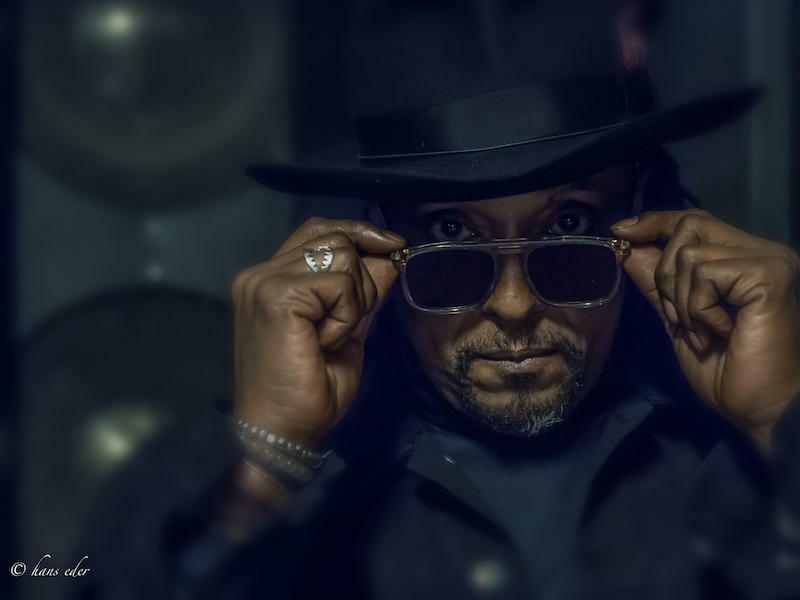 His delivery brings to mind an immediate association with the sound of the 1960's beat poets and the legendary Gil Scott-Heron... A far cry from the rockers and the rock bands Fowler is usually associated with. The Stones have always been socially aware, relevant and they’ve frequently made commentary on the various current states of the world. As we know, many of the lyrics, though, were buried in the testosterone-driven mix and deciphering them could be difficult, so many of us just gave up trying. "Tie You Up" from the Stones’ 1983 Undercover album, is the first track of Bernard’s new record and it jumps out at you right away. The spoken word delivery brings the lyrics to the forefront and all of a sudden I’m hearing them clearly for the first time and realizing that the song could have been written yesterday. His unique delivery did the same with every track on the album. I started listening passively and as the album progressed I became more drawn into and engulfed by the material. This album makes you pay attention! And it delivers with a punch from the first note to last. The context of the songs Fowler has chosen to present and the delivery method he uses, very effectively conveys the original intent of the lyrics and highlights how even 40+ years later, the subject matter is still relevant. As we know, sometimes the more things change the more they stay the same. His selections were carefully chosen to reflect the current social dysfunction we’ve been experiencing. With Inside Out, Bernard Fowler has completely stripped away the melodies and cord changes, leaving only the lyrics. However, in spite of his incredible vocal prowess, Bernard does not sing anywhere on the record. Instead, his incantations are seething with righteous anger, foreboding and desire. The topics focus on prejudice, drugs, violence and injustice. In my opinion, no artist should attempt to cover another’s work unless they have something unique to add and make it their own. Each track on Inside Out is a complete reinterpretation of the original versions and, other then the lyrics, bears little resemblance to the Stones’ recordings. Inside Out indeed! Citiview NYC: Tell me about the unusual selection of songs and your inspiration for what you selected. 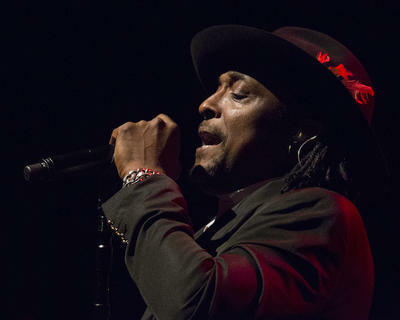 Bernard Fowler: Inspiration for the songs selected was their lyrics. I was looking for songs with strong lyrical content. I already had the idea of doing "Undercover of the Night" in this format, and the popular songs don’t work in this space. So I went through the catalog reading lyrics and the ones with strong lyric content jumped out at me. It was important that the lyrics coincide with what we’re living through now. Citiview NYC: Now I can understand the lyrics to these songs for the first time! Bernard Fowler: There are literally millions of Rolling Stones fans, but I don’t think a lot of them paid attention to the lyrics. With this record I think it’s going to wake some people up. I think people don’t really realize how strong some of the Rolling Stones' lyrics are. In this format they will be able to hear that. They will hear EVERY single word. Citiview NYC: You’re famous for that incredible and diverse vocal range but you don’t sing a note on this record! Bernard: No, I don’t sing a note! Bernard: That’s exactly the sound I was going for. In particular, The Last Poets and Gil Scott Heron. 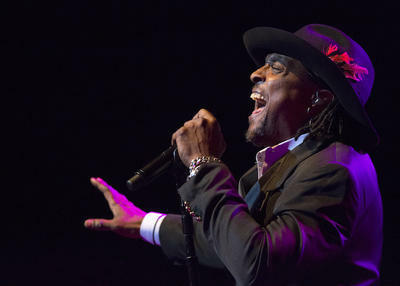 Citiview NYC: Steve Jordan plays on all the tracks? Bernard: Yes, he plays percussion and drums throughout the record. I’m grateful and lucky that he participated. The record was originally going to be only percussion. I sent Steve a track and the next day he called me and said 'I’ve got to play on that!' He came into town for another project and came by with another incredible drummer named Clayton Cameron. Steve played the kit and Clayton played snare drum with brushes. After we finished recording one track, Steve said he wasn’t leaving until he played on every track! Citiview NYC: Once you catch the groove you’re sucked in and listening intently. You made the songs the star. Who else plays on the record besides Steve and Clayton? Bernard: Walfredo Reyes Jr. on percussion, Lenny Castro, Mike Garson, David Bowie’s piano player, Michael Bearden plays piano, on one track, Keyon Harrold on Trumpet who did all the trumpet work for the recent Miles Davis movie, Miles Ahead; Tim Reis, from the Stones and Ron Dzublia on saxophones; 2-3 songs with the rhythm section of Vince Wilburn Jr., former Miles Davis drummer/producer, long time Stones bassist Darryl Jones, with George Evans and Ray Parker, Jr. on Guitar. Citiview NYC: Are you planning to do any shows of your own in support of the new record? Bernard: I’m thinking of doing some shows, but it will probably be a limited number during the Stones tour and then after the Stones tour is finished, I’ll be focused on promoting the new record. I think I could do a complete night of Bernard because I could open the show with the spoken word and then finish the night with music. The spoken word is not taxing on the voice so I can be my own opening act! Citiview NYC: Any surprises on the upcoming Stones tour you can share? Bernard: I don’t know anything yet, but if I did I don’t think I’d tell you because then it wouldn’t be a surprise! For Rolling Stones fans, Inside Out will be a refreshing way to revisit familiar numbers and enjoy a new appreciation for each song’s content. For anyone else looking for a refreshing listen with a strong social message this album is just what you need. Inside Out is captivating, undeniably important and resonates with a powerful message! 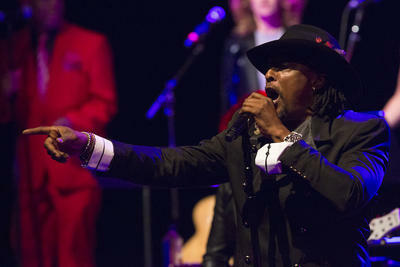 Click Here to Order Bernard Fowler's Inside Out! Click Here To Read Our 2014 Interview With Bernard Fowler Discussing His Favorite Things About NYC!